Today I’ve got a fantastic guest article for you courtesy of nutrition expert, Armi Legge. Owner and operator of EvidenceMag, Armi is a stand-up guy with truly phenomenal, science-based, practical information. 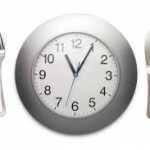 In this article he does a great job of breaking down exactly how design a post-workout meal ideal for building muscle. You already know that in most cases, you don’t need to eat immediately after your workouts to gain muscle. However, that doesn’t mean you shouldn’t have a post-workout meal. In fact, there may be a few small benefits to eating right after your workouts, especially in certain situations. If you’re training fasted, or without a recent pre-workout meal, you might build more muscle if you eat soon after your training. If you’re closer to your genetic limit and you want to add every gram of muscle you can to your body, you might also want to eat a post-workout meal. You also know that your macronutrient and calorie intake are the most important components of building muscle. That being the case, below I’ve outlined exactly how to design a post-workout meal with the right macronutrient breakdown. 1. Set your macronutrient targets for your post-workout meal. Your post-workout meal should be mostly protein and carbohydrate. Protein helps decrease muscle breakdown and increase muscle protein synthesis (1). Carbohydrate helps re-stock your glycogen levels which may help promote muscle growth (1). Interestingly, despite common dogma, there’s no evidence that eating fat with your post-workout meal will make it less “anabolic,” or muscle building. You’ll get the same increase in insulin, glycogen levels, and muscle protein synthesis that you would otherwise, plus your meal will taste infinitely better (2-4). To help you understand how much protein and carbs you should eat post-workout, nutrition expert, Alan Aragon, uses the following equations. Protein: 0.1-0.3 grams per pound. Carbohydrate: 0.25 – 0.7 grams per pound. Needless to say, you should adjust these numbers based on your current bodyweight to suit your individual calorie and macronutrient goals. If you’re like me, and you don’t usually want a big meal after your workouts, it’s fine to use the lower end of this range. If you’re like Anthony Mychal, and you like to eat 1,500 calories of “Oatmeal Volcano” after your workouts, then it’s fine to go way above these ranges, too. 2. Create several meals from your favorite foods to hit your macronutrient targets. Think of several favorite protein and carbohydrate-rich foods and jot them down on a piece of paper, Word Doc, or spreadsheet along with your individual calorie and macronutrient ranges. With these foods, I now want you to create at least three potential post-workout meals. Once you have the meals, it’s time to adjust them to fit your calorie and macronutrient goals. Here are a few meals that would fit these targets. 1 scoop (30 grams) whey protein powder + 1 large (140 grams) banana + 1 large glass (360 grams) of 2% milk. 3 oz (85 grams) grilled New York strip steak + 1 large (300 grams) baked potato + 100 grams steamed broccoli. ½ cup (40 grams) dry oatmeal + 1 cup (240 grams) 2% milk + 1 tbs (~10 grams) brown sugar + 1 egg (50 grams) + ½ cup (120 grams) nonfat Greek yogurt + cinnamon. Trust me, it’s delicious. 2 eggs (100 grams) + ¼ cup (60 grams) grams salsa + ¾ cup (180 grams) nonfat refried beans + 1 ounce (30 grams) sweet red peppers + 1 ounce (30 grams) sweet onions) + 1 tbs (15 grams) low-fat sour cream. * My mom loves tex-mex. Get creative, and think of at least three post-workout meals you can use throughout the week. Change your meals every few weeks so you don’t get bored. People spend too much time thinking about the best protein powders, recovery bars, and other useless supplements to gain more muscle. Not only are these expensive, they don’t always give you the right macronutrition, they don’t taste as good as real food, and they get boring quickly. You can make just as much progress by setting your own macronutrient targets, and then creating healthy, delicious meals that will help you gain muscle by hitting those goals. You’ll also save money and enjoy your food more. Better yet, this system will save you time. Once you’ve created a few of these meals, you won’t have to keep counting calories or macros every time you eat. Have a question about post-workout meal planning for muscle growth? Leave a comment below and I’ll take care of it faster than you can mix a protein shake. 1. Aragon AA, Schoenfeld BJ. 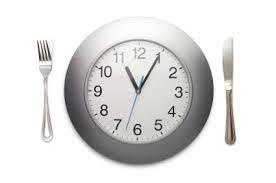 Nutrient timing revisited: is there a post-exercise anabolic window? J Int Soc Sports Nutr. 2013;10(1):5. doi:10.1186/1550-2783-10-5. 2. Roy BD, Tarnopolsky MA. Influence of differing macronutrient intakes on muscle glycogen resynthesis after resistance exercise. J Appl Physiol. 1998;84(3):890–896. 3. Burke LM, Collier GR, Beasley SK, et al. Effect of coingestion of fat and protein with carbohydrate feedings on muscle glycogen storage. J Appl Physiol. 1995;78(6):2187–2192. 4. Fox AK, Kaufman AE, Horowitz JF. Adding fat calories to meals after exercise does not alter glucose tolerance. J Appl Physiol. 2004;97(1):11–16. Author Bio: Armi Legge is the founder of Evidence Magazine, a monthly publication that helps you automate your diet and training, so you can have the body you want and move on with your life. Sign up for Armi’s free 12-part email course to lose fat with less effort and anxiety. (This article was an excerpt from Evidence).